I am a 31-year-old self- employed individual based in New Delhi. I was never very active throughout my life. I largely led a sedentary lifestyle and was not involved in any kind of physical activity. I would drive to work, would keep sitting in the office, and did not follow a proper diet although I was aware that I was not eating right and the importance of good nutrition in staying healthy. About the time I turned 18, I started eating a lot of junk food. Outings with friends would always mean consuming junk food and sweetened beverages. It was excessive now that I look back and that led to tremendous weight gain even though I had been naturally skinny all my life. Over the next 12 years of living, such a lifestyle meant that I was heavier by 30 kgs and this excess weight came with other issues such as high cholesterol, breathing difficulties and reduced mobility of the joints. It had got to a point where I was fed up of seeing doctors and swallowing pills day in day out which provided only temporary relief from the effects of a self-destructive lifestyle. It’s then that I decided to put my foot down and take back control of my health. In March 2015, on the strong insistence of my wife and my mother’s support, I went to a nutritionist to try and figure what to do. I was on the path to recovery but a major turning point came in May 2015 when I got introduced to GOQii. One of my friends had already tried GOQii and she strongly recommended it to me. So I decided to give it a shot as well and ordered the GOQii band. And I can say with confidence that I’m glad I made that decision. I strapped the GOQii band to my wrist, got a personal coach in Anushree Ashtekar, and started on my journey to make a permanent shift to a healthier lifestyle. With the guidance of my coach, I started becoming physically more active. Initially, things were tough but my coach helped me in making gradual changes and today I am at the point that I work out at least 4-5 times a week. My body composition has changed drastically and so many other annoying issues have completely disappeared. It’s been close to 10 months now and I have lost 20 kgs – going down from an unhealthy 90.5 kgs to the current 70 kg which led to my cholesterol levels also reducing significantly. It’s all about making a commitment to yourself. My goal was to increase my activity levels and improve fitness, and the weight loss came naturally. GOQii has done a lot of good to me. Personal coaching has been the key factor in my journey. The coach is a great motivator who helps you to make gradual changes for the better with each passing day. My coach, Anushree, gives me practical advice and answers all the queries promptly, which is critical in being able to make immediate decisions towards better health as you go about your daily life. Thanks to Anushree my eating habits have improved. It’s no more junk food for me but a diet full of nutritious food. Fruits and salads have become a part of my lifestyle these were missing earlier. I have gotten rid of my long standing issue of frequent muscle soreness. Digestive issues too are no longer a concern and the bottom line is that my energy levels have gone up considerably. Currently, I am well on my way to becoming a physically active person. 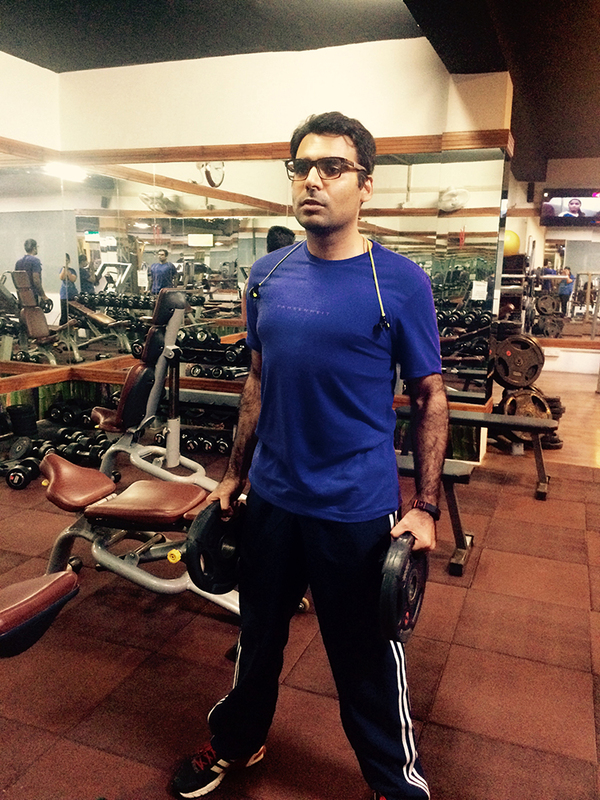 What I love most about GOQii is that it holds me accountable on a daily basis and my coach keeps me on my toes. When I glance at it and see that I’m short on steps today, for example, I know I have to take a few extra flights of stairs or go for a jog or a walk before the day is over. The last thing I want to do is go to bed without having reached my daily targets. What does Anushree Ashtekar have to say about her Player? 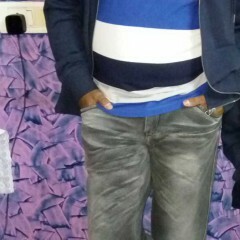 Before coming on the GOQii program, Gaurav had quite a history of health issues. 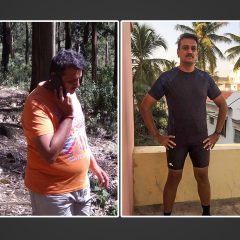 Sedentary lifestyle, high cholesterol, vitamin B12 and vitamin D3 deficiencies, fatty liver etc.. His wife forced him towards Naturopathy and that was a turning point in his life. 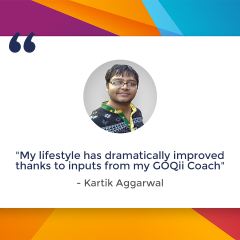 He got many of his health issues in control and then wished to try out the GOQii coaching program for further guidance from a personal coach. We clicked instantly, as a coach, I understood his needs and started working towards them. 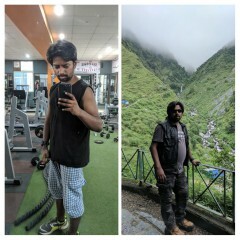 We started working on reducing his muscle soreness, building a healthy physique and immunity and bought many of these issues in control.Today, I can say, he has come a very long way. The health issues that he had to suffer have made him very self-driven now regarding his health. And what made our association successful on the GOQii program was his own dedication, determination, open-mindedness and trust in me as his coach. He has changed for good and he will be getting only better!